This Canadian-based theatre company is known for its over-the-top performances that, on any good day, put its member's lives at risk. 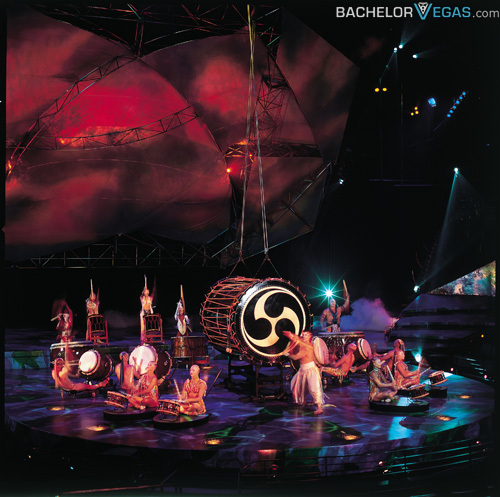 Cirque Du Soleil can be experienced in most regions of the country, but some of its most popular shows can be found in the desert valley of Las Vegas, NV. Amongst the numerous, multi-million dollar shows that the company arranges in Sin City, Mystere can be found in the desert valley of Las Vegas, NV at the Treasure Island Hotel and Resort. 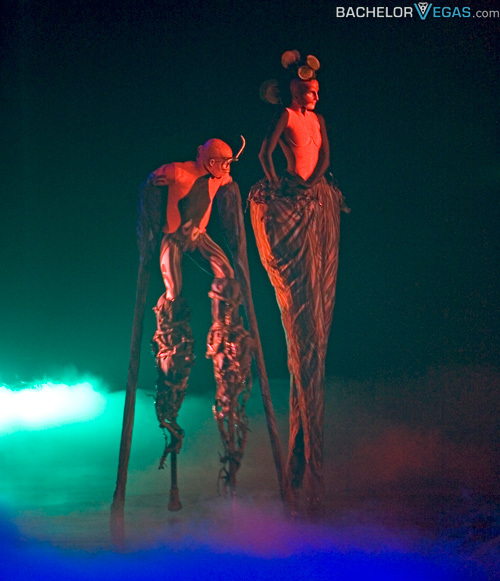 Amongst the numerous, multi-million dollar shows that the company arranges in Sin City, Mystere is one of the strangest, most unusually intriguing productions Cirque Du Soleil has to offer. 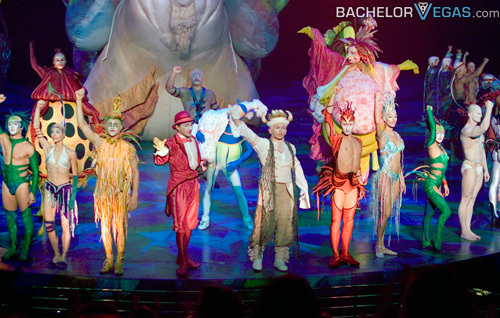 Where Mystere separates itself from other Cirque productions is its lack of any sort of story structure. 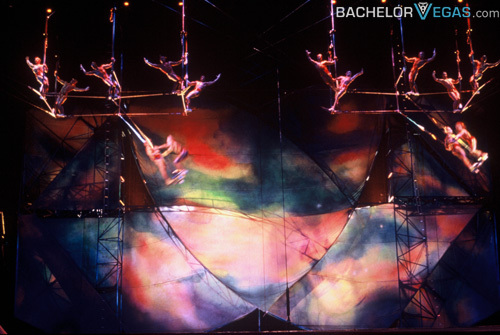 Rather, the show plays off like some high end circus that focuses highly on impossibly difficult looking acrobatic performances that mix death-defying stunts with a high production value. Kicking off the "circus"-esque theme is a pre-show featuring a clown dressed as an usher. Setting the mood for the evening, the clown will do what's necessary to ensure that everybody is seated and awaiting the start of the show with a smile already plastered onto their faces. Following in typical Cirque Du Soleil form, the show's level of weirdness is simply accented by this quirky opener; and as the show presses forward, the level of oddities and fantastical attractions are only guaranteed to increase. 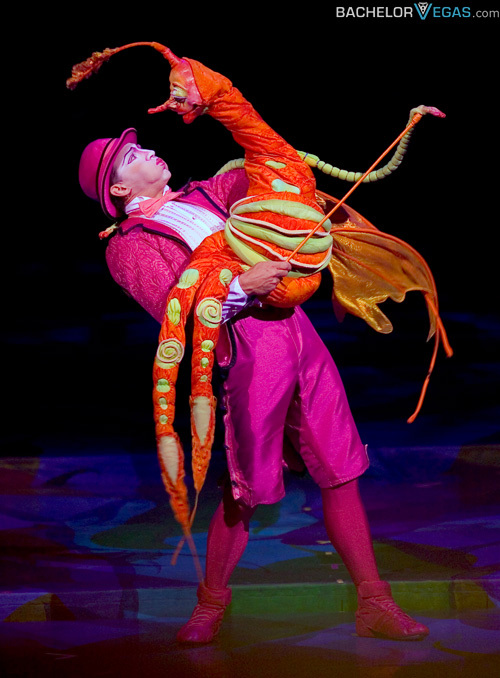 The basic theme to Mystere is life, from the moment it begins to the constant struggles and pursuit of happiness. 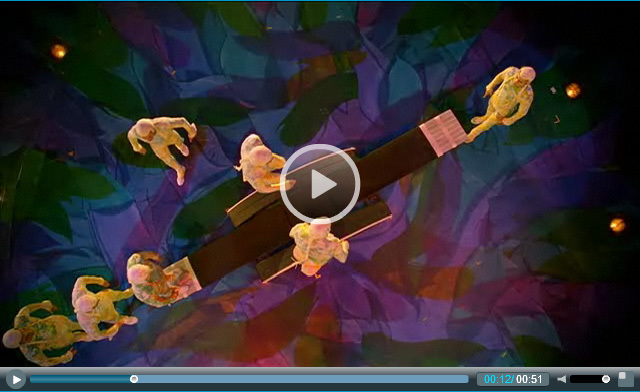 The circle of life, as so elegantly described by Sir Elton John, is the forward theme of this highly eye-catching stage performance. 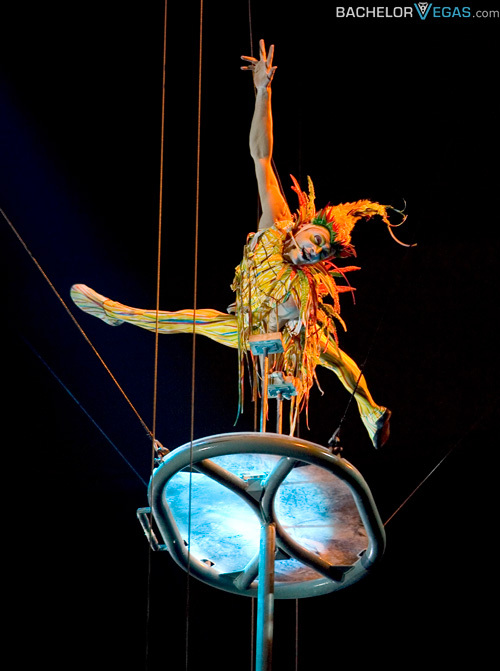 Acrobatic routines, flying trapeze, life-risking aerial acts, and a vast array of other circus-like acts help built Mystere up to the mystical presentation that unfolds before the audiences eyes. Watch in awe as a pair of overly toned men throw the concept of gravity out the window and pose each other among a rotating stage or gasp at each sudden twist of the Tissu Act, which suspends a rather flexible contortionist in mid air by two pieces of fabric. No matter the stunt, the Cirque crew performs each act flawlessly, ensuring that each show is genuine in its excitement. 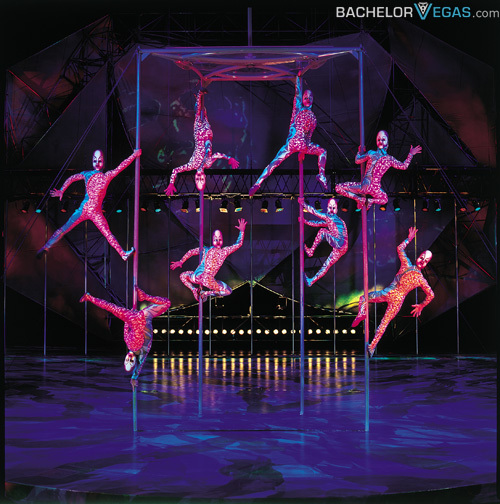 Though a Cirque Du Soleil show may seem like the perfect accent to a romantic night on the town, these elaborate productions are also perfect for those bachelors / bachelorettes looking for a good alternative to the normal clubbing and drinking routine. While there isn't the added benefit of rivers of alcohol and half naked people, Mystere is guaranteed to grab the attention of all; and really, nothing compliments a celebration of that last night of being single like a giant baby in a diaper and a bonnet. 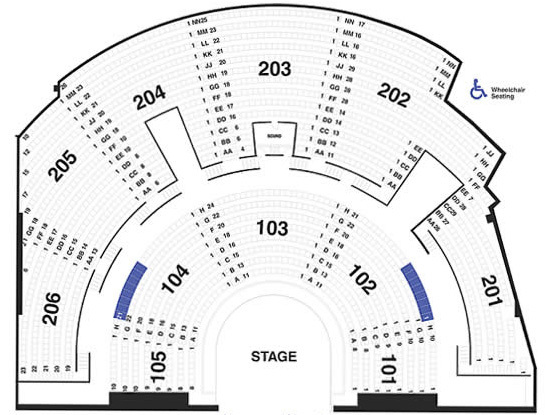 Contact Bachelor Vegas to best deals and seating for Cirque Du Soleil's magical experience in Mystere. 5.0 on Jun 27, review by Editor P.